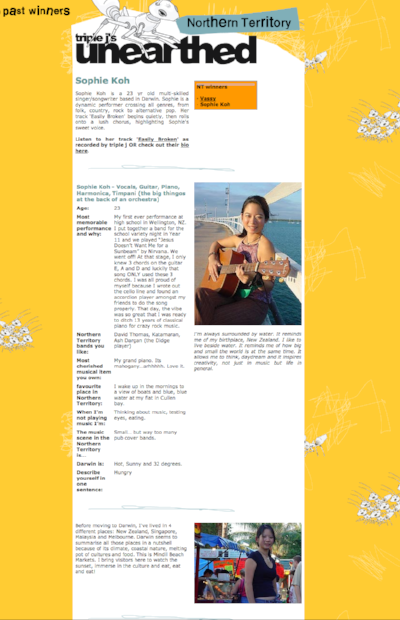 Sophie Koh has been writing, recording and performing music most of her life. Impeccably and flawlessly classically trained on the piano, Sophie branched out into the indie-pop scene in her early twenties. 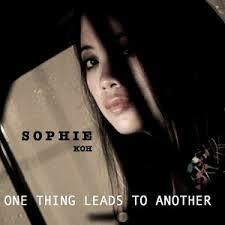 In 2003, at 23, Sophie won triple j's Unearthed competition while living in Darwin. From there, Sophie has continued on to great things, having many songs played on popular television shows Grey's Anatomy, Neighbours and Home and Away, as well many television appearances herself on Rockwiz, Spicks and Specks and even Neighbours. Winning international songwriting competitions, and playing and working with Australian household names like Ben Lee, Jimmy Little and The Church's Steve Kilby has been par for the course. Sophie has spaced her albums and singles out during her nearly fifteen year career - her last release was a single called One Thing Leads to Another in 2014, which ended up being played on an episode of Grey's Anatomy's in its tenth season - and her latest album released in April this year Book of Songs has been a long time coming. Book of Songs is probably Sophie's most significant work to date. 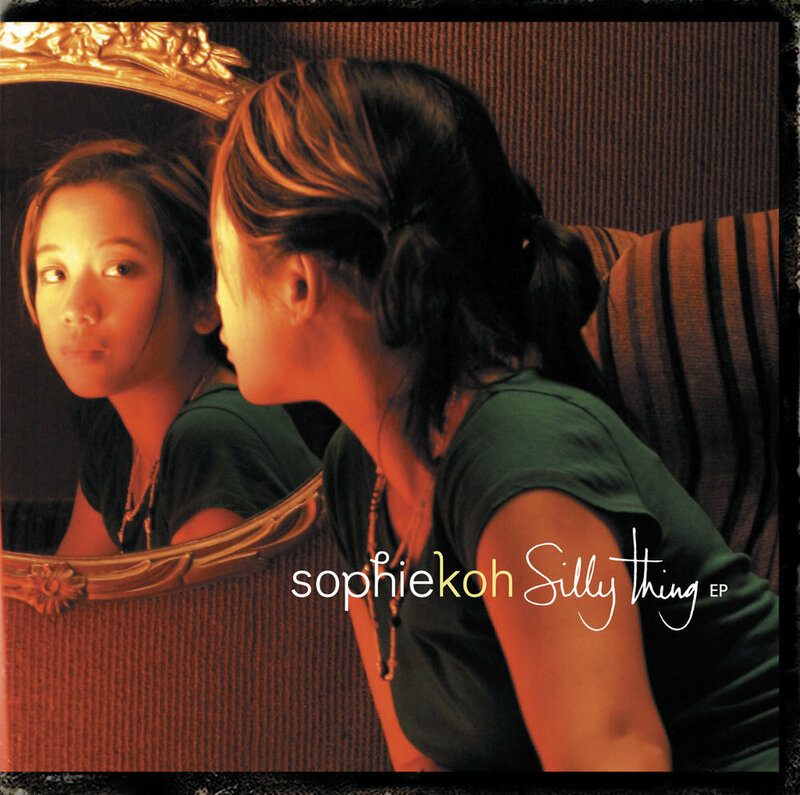 An exploration of her identity, that is, being born in New Zealand to Malaysian parents, and living in Australia as well as having Chinese roots - Sophie even sings a couple of tracks in Mandarin. Sophie says she put the bass guitar and drums away and went back to playing and writing classically based music inspired by Chinese art and poetry. The instrumentation consists of mainly the cello, viola, Sophie's now iconic voice, and, of course, her glorious and intricate piano performances. Crowd funded, Book of Songs is thoughtful, fresh and, breathtaking. While Sophie has forged a formidable artistic path, she has also simultaneously pursued a career in optometry, and has worked as an optometrist, both professionally and as a tireless ambassador for international charity Optometry Giving Sight. Sophie gave Music Love this interview about her musical and medical pathway so far, her new album, and how surprised she was that some tracks from Book of Songs have ended up on popular radio. Without music, I wouldn’t be alive. A big question. I’ve been an independent musician since [winning] Unearthed by triple j in 2003. [I've been] self-managed and self-funded for most of my career. There has never been a big machine behind me. I’ve taken about four to five years to make a new record. Each record has seen a change in life circumstance and aspiration - I was navigating through life as a young woman, now a new mother. Hence, they all sound very different. Being independent has had it’s ups and down. But I’m still here. Mainly because I’ve taken charge of my music career from the very start, doing things slowly and making sure that every new album is an educational adventure. So even if no one listens to it, at least I’ve learnt something for the next project! Book of Songs is an album of contemporary pop tunes, influenced by Chinese art and poetry, played on western classical instruments (grand piano, cello & viola). It’s quite a diversion from my previous three albums. It feels like it has taken three albums for me to FINALLY get to this one. I’m quite excited that it’s not quite classifiable in genre too. It was produced by myself and J. Walker (Paul Kelly, Machine Translations) and sees me revisit my classical piano background with sprinkling of my ethnicity for the first time. I hope the audience can broaden their idea of what contemporary ‘pop’ is, via this album. I’m also quite proud that my live stage band consists of a trio of female musicians (Me – piano, Caerwen Martin – cello, and Louise Woodward - viola). I haven’t been on popular radio for nearly ten years now. Double J radio recently added my new song Tiger Not The Hare’ to rotation. I wrote this album thinking that it would NEVER be on radio in Australia, due to its classical-crossover genre, and I had made peace with that fact. But DoubleJ proved me wrong. They even played my Mandarin song Gan Lan Shu! Every day. Now that I have a young bub, it’s mostly to entertain him during that tricky unsettled time before dinner! Can you remember any musical advice over the years that has stuck with you and helped you through? Don't be afraid to let fans know that you’ve failed. Over the years, fans have come to assume that I have a major record label and there’s a big machine behind me due to my early success. A friend suggested that I should let fans be aware that it’s just ME doing everything. Let them be aware that the final product takes a lot of work. Even reach out to your fans for help. Social media as really enabled this to happen easily. Share your process with your fans. The process is sometimes just as interesting, if not MORE interesting, than the final product. This was the main drive for embarking on my first ever crowd-funding campaign. As a punter, music is so cheap to listen to, but as a creator, it is so expensive to make. Crowdfunding has helped tip the scales back so independent artists like us aren’t financially burdened at the end. Crowdfunding has been really great because it gives you that financial backing right at the start and engages your fans to come with you on what sometimes can be a lonely journey. You are also letting them in by sharing your process. Let them know that what you do takes a lot of time and energy. They feel empowered to be your benefactor/patron, to keep the art going. You won triple j unearthed in 2003 before the Internet was what it is today. How have you personally navigated this change over the years? Facebook and social media didn't exist during my first two albums. I relied on radio, my website, playing festivals, supporting bands like The Go-Betweens and Pete Murray, etc, to get noticed. Now it’s ALL about social media and streaming. To keep current, I try to go to as many music workshops and conferences. It’s important to be aware of the business and publicity aspect of music. Myf Warhurst – Such an advocate for Australian women in music. She champions for us all! Angie Hart – One of the most generous and humble musicians I know. She is always ready to give time to other creatives (even if she’s never heard of them) and help artists connect with each other. She never puts herself above any other artist. I really respect that. Clare Bowditch – I’m not sure how Clare manages to raise 3 children whilst creating, gigging, acting and broadcasting. I wonder if she sleeps and how she keeps it together! I really take my hat off to this amazing lady. Tell us about being an optometrist. Optometry has been my record label really. Having this part-time job has helped me fund my albums. I love being an optometrist. There’s some romance in looking into people’s eyes all day. And I just love that I meet a new member of the public every 30mins. I’ve learnt so much from patients sharing their stories. I have a particular interest in public and indigenous eye health. I’ve done quite a bit of bush work in the N.T as well as worked as an educator in Papua New Guinea, Solomon Islands and East Timor. Optometry and music tickles both sides of my brain. I wouldn’t have it any other way. Darwin. Gotta love a place where you can rock up to the Saturday market and have laksa for breakfast with the locals. I lived there for a few years. Who is your favourite non-musical artist? What is coming up in your life that you can’t wait to happen? I’ll be flying to Hobart to help launch the official 2017 Festival of Voices program next week. I think I’m most excited about the fact that I will be getting my first night of uninterrupted sleep in the past 18 months, since having the baby. It’ll be my first night away from him. Don’t get me wrong, he’s cute and everything but honestly, I cannot wait! Sophie's songs The Tiger not the Hare, I Want to Dance, Paper Kites, and Play with Gold have been added to Music Love's Where Music and Art Meet playlist, and her songs Song for the Birds, Green Bird for the Maple Tree, and Yellow Rose have been added to the Beautiful Songs playlist and I Understand has been added to Music Love's Inspire Me playlist. Ali Barter has a brand new video out today, is on tour, dreaming up a brand new album between shows, writing a book, and wants us to know who Delia Derbyshire is. What a woman.